Entering into a new Midwest Matchmaking connection so close to the holiday of love can feel a little awkward, since you’re likely still in the in-between stages of defining your relationship. Gift-giving is stressful enough without wondering what your status is, but it can also feel confusing since you want to express your interest in them, but not go overboard. 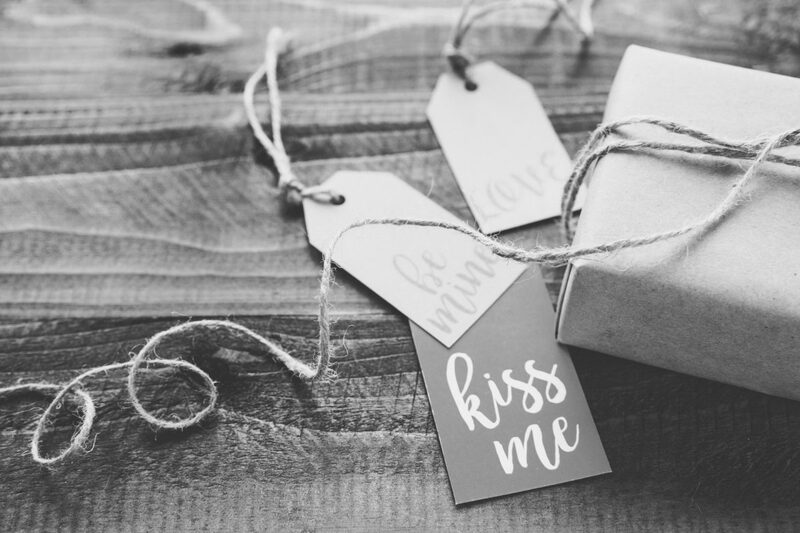 For those of you who are at the point of frantically scouring websites wracking your brain for the perfect Valentine’s Day gift for your new love connection, just remember that a little creativity goes a long way. For newer couples, the best Valentine’s Day gift-buying strategy is to keep your significant other’s interests in mind, while not going over the top. Des Moines matchmakers recommend that if you’ve been dating for three months or less, then spending too much can come off as a bit creepy. Instead, try to be creative and personal in your gift, and they will be more impressed with the time and effort involved, rather than the price tag. There is something very comforting, warm and personal about shopping together, especially if you know you’re headed back to a cozy atmosphere to cook side-by-side. Since ambiance will be a major factor in this romantic evening, it’s easy to manage that with some candles, a nice bottle of wine, and some music playing in the background. If you are not handy in the kitchen, then do the next best thing and sign yourselves both up for a couple’s cooking class in the city. You can even take a course that involves your significant other’s favorite cuisine (Mexican, Thai, Italian, etc.). These can run on the pricey side, but our Des Moines matchmakers advise that the money is well worth it. This idea is for the bold, creative types with a lot of energy, but this typically involves a starting point, where your other half then follows a series of written clues and collects items at each point. You can make it as creative as you’d like, with a small gift at each clue point, or using a small gift as the hint for the next location. Google some ideas if you’re new at the scavenger hunt idea, but keep in mind how adventurous your significant other is before deciding on this idea. These can be as crazy or as far-far-fetched as you make it. Assuming you’ve both discussed your musical tastes, it’s always a good idea to check your local venues for affordable concerts that you can treat your SO to. It might not be financially feasible to get them floor seats to the next Lady Gaga concert, but checking out a lesser known local band is a good way to experience something new and fun together. Who knows? You may discover an artist you’re both super into! If you want to give your better half something sweet, skip the drugstore chocolates and go for something a little more classy. There are a few subscription services that send a variety of gourmet chocolates or even wines, each month. What’s great about this, is that the two of you can try them out together, which creates a new experience for both of you, and some conversation fodder. If wine or chocolates aren’t your SO’s thing, then research some other subscription services they might enjoy, such as a magazine, a food delivery service or a craft brew subscription! For the artsy couples out there, a crafty date idea is always a great bet. There are so many options out there now, that anyone can find something they’d be interested in, even if art is not your thing typically. Plus, a little competition can be fun, and you can make something for each other that you can have as a keepsake forever. Midwest Matchmaking warning: this is not a great gift idea if the two of you don’t already share fitness as a hobby. But if you and your new partner consider yourselves pretty athletic, then gifting them with a pass to their favorite kind of workout is the perfect way to show you care. And since it’s a holiday, why not treat yourself to the same course, so the two of you can get your endorphins on together. No matter what you decide to treat your Valentine to, the most important thing is that you made an effort — that’s the sweetest gift of all. Are you single and alone right around the corner from Valentine’s Day? Midwest Matchmaking can help! Contact your Des Moines matchmakers at www.midwestmatchmaking.com, and let us help you find a Valentine’s Day date that will last a lifetime.